A Lithuanian man - who was arrested after a fire broke out at his home - has been charged with cultivating cannabis plants at the Dublin property. Edjardas Stankus (23) appeared at Dublin District Court in the Criminal Courts of Justice before Judge Alan Mitchell today. Garda John Doyle from Clontarf garda station gave evidence of arresting Stankus. A fire broke out at the house on Brian Road, Marino, Dublin 3 at around 7am on Saturday morning. Locals raised the alarm and units from Dublin Fire Brigade dealt with the call. They then contacted gardai after a number of suspected cannabis plants were discovered at the property. 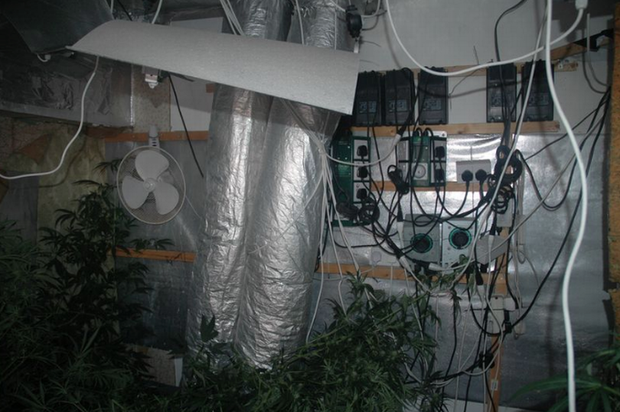 Following further investigation, gardaí at Clontarf Drugs Unit discovered a sophisticated cannabis growhouse. More than 130 cannabis plants were seized with an estimated value of €110,000 pending analysis. Mr Stankus was arrested at the scene and questioned at Clontarf Garda Station under Section 4 Criminal Justice Act. Stankus was today charged with cultivation of cannabis plants without licence contrary to Section 17 of the Misuse of Drugs Act 1977. The court heard he made no reply to the charge. Mr Stankus’s solicitor, Michael French, did not apply for bail but was successful in an application for legal aid. Stankus was remanded in custody to Cloverhill prison to appear in court again on May 11. He remained silent throughout the short hearing.